I recently had the opportunity to try out the GoNow iPad case, a sturdy iPad case built for the K-12 market. The GoNow case is available for both iPad and iPad Mini and solves some concerns that schools often have with the iPads. The built-in handle is a real plus for students carrying around the devices. I have seen classroom lessons for the younger students on how to carry the iPad (hug it to your chest, etc.). The handle on the GoNow case just works! 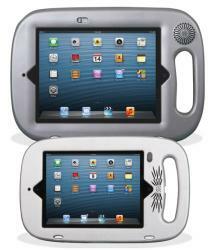 In addition, the case provides a level of protection from damage to the iPad for students of all ages. For the iPad Mini, which is so light, the GoNow case provides some "heft" for the Minis when they are used in the early grades or in the special education department. For those of you who have held an iPad Mini, you know what I mean. It is so light on its own, you sometimes have a fear of letting it go! There are additional thoughtful features built into the GoNow case. The case screws open easily and the iPad is placed in the case, with a rubberized sheet to protect it. By using screws, the iPad is securely encased and protected. There is a channel inside the GoNow case that redirects the iPad's speaker audio to an external speaker grille on the front of the device. This allows the audio to be increased to a level that is easy to hear, even in a noisier classroom setting. This feature is a great one for students using the devices as an AAC devices as well as when two or more students are sharing a video on the iPad or a student does not have headphones available. 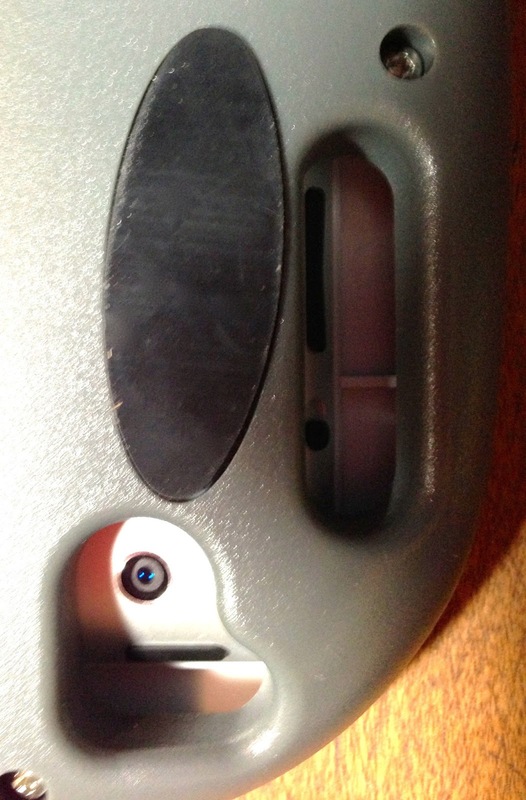 It's a bit hard to see in my photo, but the volume switch (and the power switch) are recessed. The switches are easy to access but prevent accidental volume raising or shutting off of the device. The front of the GoNow case has a small switch that turns the screen on and off. It is a very handy way for students to turn off the screen when not using the device and avoids having to hit the power button. Attainment Company, the creator of the GoNow case, is a company who specializes in assistive technology for all ages. The GoNow case certainly will be beneficial for that population, but its features make it a good solution for any K-12 classroom! As I find additional ones, I will be adding them to my Assessment and Rubrics page. Have you come across any other useful tools to support the CCSS? Has your district created a series of rubrics in ELA or Math? Share the URL with us in the comments!